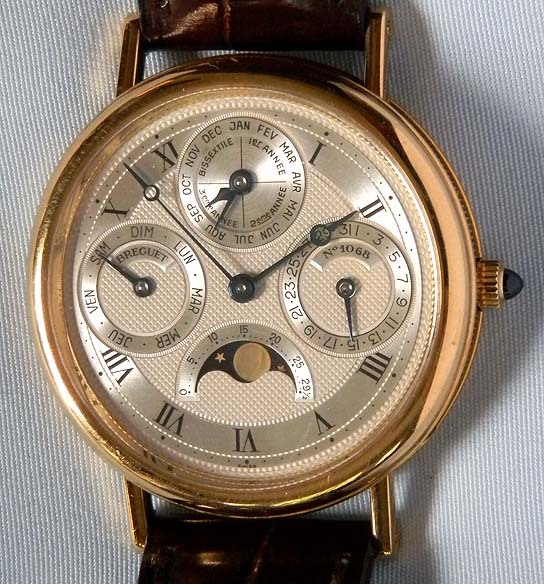 Fine, scarce and particularly attractive Breguet moonphase perpetual calendar skeletonized and engraved automatic vintage 18K gold wrist watch reference BA 3050 circa 1995 Classic silver engine turned Breguet dial with blued steel Breguet hands. Coin milled band and downward sloping lugs. 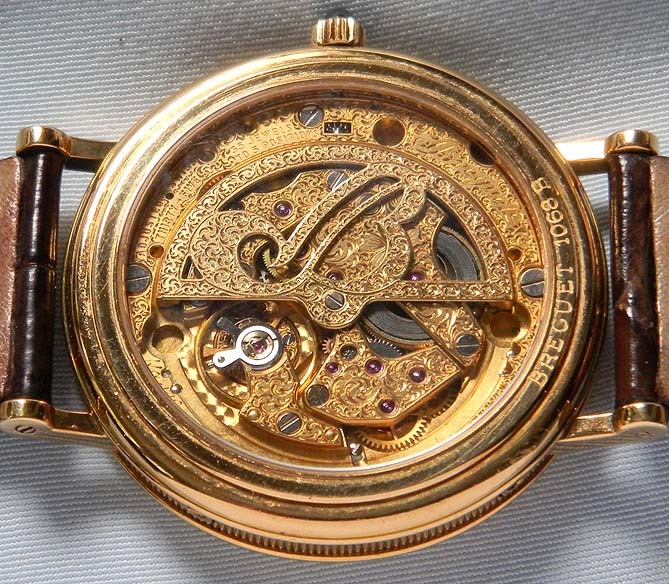 The back with a crystal over the gilt 35 jewel movement. Particularly fine condition. Unlike simple calendar watches, this mechanism "knows" the number of days in each month and also accounts for leap year.